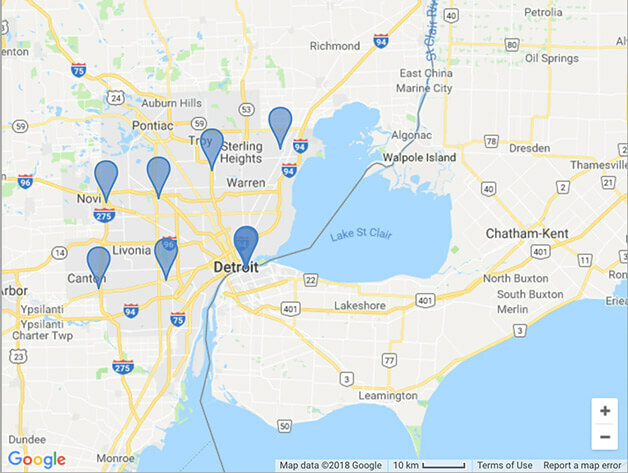 The Detroit Medical Center’s (DMC) record of service has provided medical excellence throughout the history of the Metropolitan Detroit area. From the founding of Children’s Hospital in 1886, to the creation of the first mechanical heart at Harper Hospital 50 years ago, to our compassion for the underserved, our legacy of caring is unmatched. DMC is proud to be part of Tenet Healthcare Corporation, a national, diversified healthcare services company. Since 2010, Tenet has invested more than $850M in new facilities and technology including: a new pediatric ambulatory facility in Troy, a new 59,000 sq. ft. emergency room at Sinai-Grace Hospital, a new heart hospital and a new patient tower at Children’s Hospital of Michigan.